Local History Cafés are community based heritage and wellbeing get-togethers for over 50s. We work with heritage organisations to tackle social isolation and loneliness through stimulating events, shared interests & stories. Each month groups meet for tea & cake, a heritage presentation and an activity. 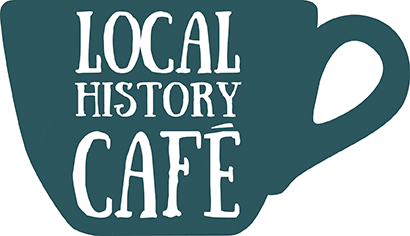 Local History Café is a membership project for heritage organisations, developed by Crafting Relationships, an Arts, Heritage, Health and Wellbeing social enterprise. The project is funded regionally by Museum Development East Midlands. Locally we are also supported by Tesco's Bags of Help scheme. WHEN? We are now recruiting a new group to starting 26 February till 25 June 2019. HOW TO GET THERE? Make your own way or ask us about help. Each Local History Café session will welcome up to 10 guests. Some will use community transport and some will be able to make their own way in. We ran our first successful group from November 2017 to June 2018. While you are with us, we will talk with you about our other activities and what else might be happening in the community, especially with other heritage organisations to see if you would like us to introduce you. There is a charge per person per month as a very small contribution towards costs. We ask for feedback during your visits so we can see how well projects work and report back to funders. There is always a waiting list for Local History Cafes, so if you are not able to make one it’s important you let us know, especially if there is transport organised. The first meeting of the new group will be on 26th February 2019 from 10.00 to 12.00. Future meetings will be on the last Tuesday of the month for 5 months. It is essential to book a place in advance, so please contact Heather (details below) if you would like to join us. We have been shortlisted for a public vote by Tesco's Bags of Help. Please vote during MArch and April to help us get the necessary funding to secure the Local History Cafe for our community. We are looking for two Volunteer Project Co-ordinators, starting in February 2018, to support Local History Cafes at Charnwood Museum in Loughborough and the Sir John Moore Foundation in Appleby Magna.